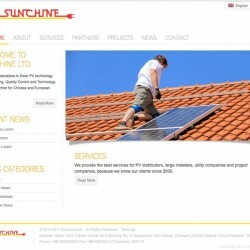 When the previous website of Sunchine Ltd. was set up, the management always had in mind to renew it to something more professional one day, but as things go in a busy company, this was almost forgotten. 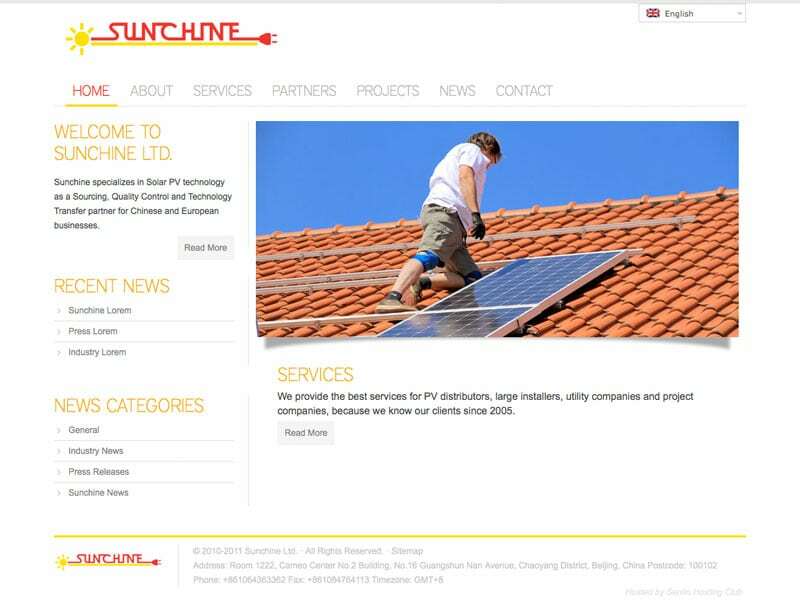 Fortunately we could convince them of the urgency of the redevelopment of the Sunchine Ltd. website. For the redevelopment of the site we did not have an awful lot to go on, clean and simple were the main directives we received. Because there was no budget for a bespoke design we opted for a premium template from one of the theme markets that we further adjusted and adapted to the Sunchine colors. Although these colors (hard red and yellow) are many times associated with not necessarily positive things, we think we have accomplished to bring them subtly back throughout the site. The backend we basically coded from the ground up using a custom post type and a custom taxonomy next to the default post types. To make the site's content available in both English and Dutch we used WPML.